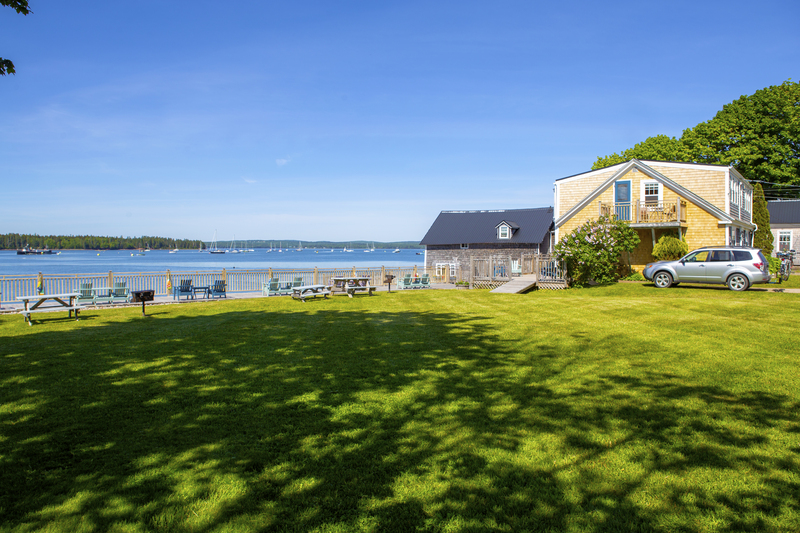 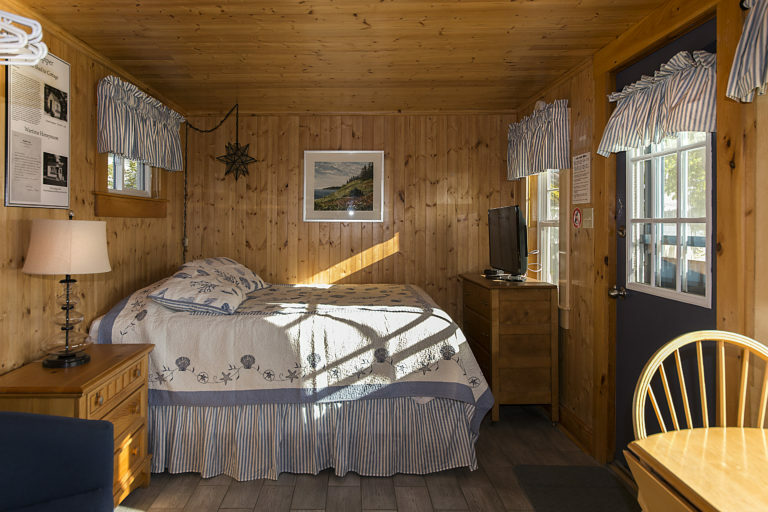 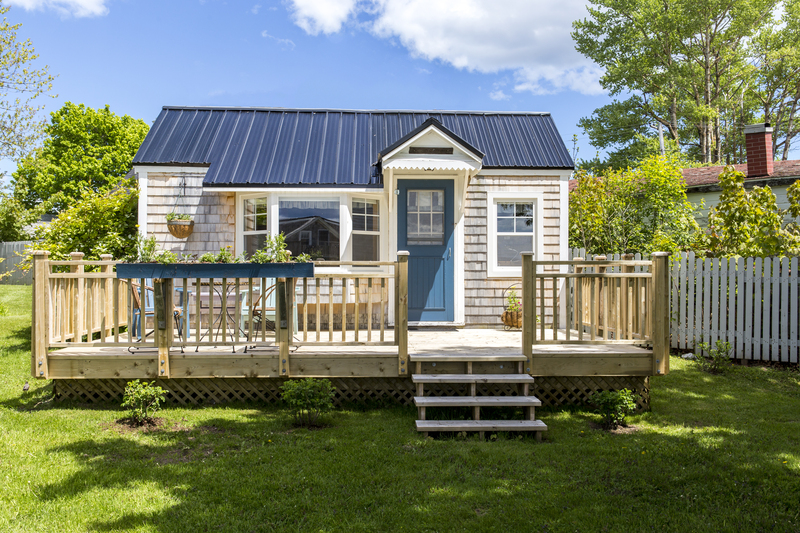 Sandpiper is a small bachelor-style cabin with a queen bed only. 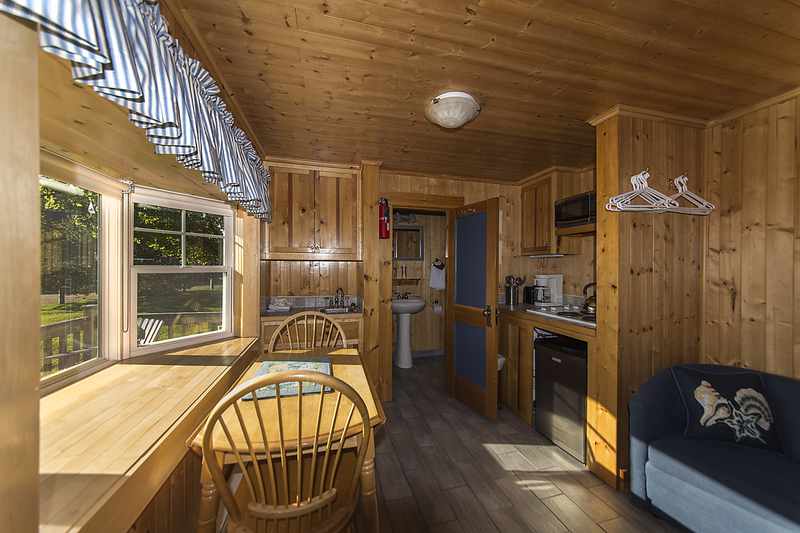 There is a kitchenette with a four-burner stovetop, microwave and bar-sized fridge. 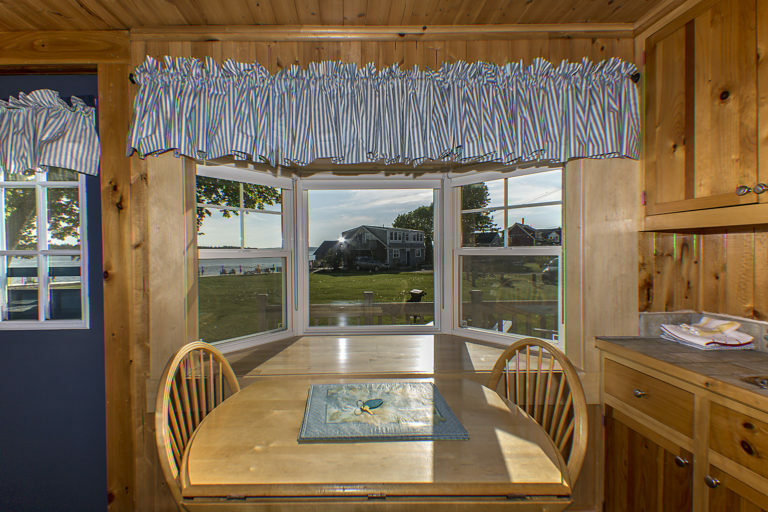 It has a bay window with a nice view of the bay across the lawn and a large deck.